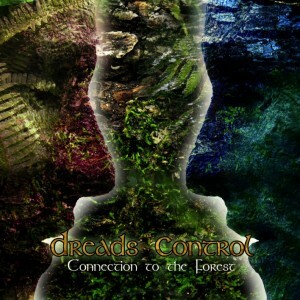 Mind Tweakers Records proudly announces Connection To The Forest, the first release from the Brazilian duo Dreads Control, a project formed by Luiz Henrique Rezende and Thiago Rodrigues. The result of this fusion is a smooth psychedelic style of full-on designed for lysergic moments on the dance floor. Mastering by Andreh Torres @ Rotten’s Dungeon Studio, Brazil, with cover artwork by Bruno Azalim (Onionbrain). MP3 Download | FLAC Download | WAV Download · Download count: 10,179. Released under a Creative Commons licence for noncommercial usage. Visit the Mind Tweakers home page for more Brazilian beats! nice!! Very fresh, feels like the Brazilian forest comes to life. I like the progressive smooth feel of the tracks, 142bpm has always been a fun place for me to dj and dance at! Very nice debut from brazilians!!! Strong debut release, keep up the good work!! Love tracks 3 and 4. Exelente album :D! Me gusta demaciado “Abstraction”. Saludos desde Costa Rica :). Yeah I like it too, something between fullon and progressive trance. Nice and smooth, not too hard, not too dark. da hra ter postado o album ai no ektoplazm , susseco ai na divulgaçao do som de vcs ……. we are very happy with the positive impact of EP! the sound is perfect for me as oldravers!!! We are also really happy to see u people enjoying this release. There is more to come, now Mind Tweakers is also working with free releases! “Free music for free minds”! we appreciate the aportunidade to be part of the casting of a record of both renowned as the Mind Tweakers. and we were happy for the friendships and fellowship. great sound ! ! ! 5 stars ! ! ! connection to the forest is my favourite. well done guys, looking forward to hear more of your stuff. thx dreads control & mind tweakers . . .
My kind of psy, love it! I look forward to future journeys from you. for me this is the best music of this year…insuperabile…in my heart forever…. That’s what I call fresh intelligent music!!!!!!!! we gonna work soon !